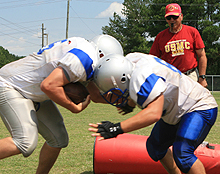 New River has a wide range of recreational resources and services for Marines and their families. From beach-going to golf to sailing to fitness, there's something for everyone close by. Check with Marine Corps Community Service to get the latest, including military discounts to local area attractions.